One of the greatest mathematical minds of the 20th century is getting a film about himself. The Imitation Game. Starring Benedict Cumberbatch as our hero Alan Turing. Someone, Alan not Bendidict, who was persecuted after the war because of his sexuality that lead to his untimely death in 1954 aged just 41. There are many parts of his work that interest computer scientists. Some of his theories are still being discovered and completed sixty years after his death. Others are well known. The Turing Test to see if a computer can be thought as sentient is probably the one that most people would recognise. 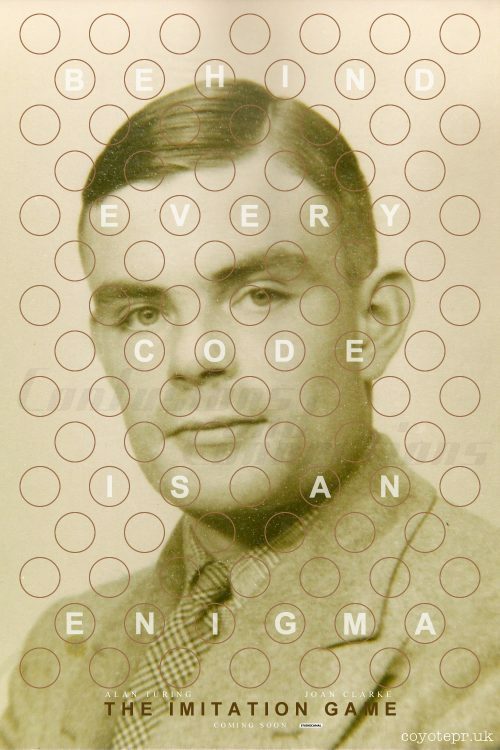 Then onto his work on the universal Turing machine – the computer in its simplest form. His major achievement was in helping win the Second World War with the design of the Bombe code breaking machines; an electro-mechanical machine used to find the settings of the German’s Enigma machine. He was also influential in getting Tommy Flowers introduced to the team. Tommy, under guidance of Turing’s colleague, Max Von Neumann, improved a machine called the Heath Robinson, the forerunner of the Colossus, and ultimately building the best know machine at Station X, Colossus. The machines that it is said shortened the war by two years and, as such, saving millions of lives. That machine helped us get into the mind of the German High Command whereas the decrypts that Turing’s bombes made helped gain in insight on what was going on in the field. With this, his greatest victory was to get enough machines constructed by the D-Day invasion of France. With the machines running, along side the more powerful Colossus machines [ Used to crack the more complex Lorenz code that the German hight command used ], the Allied High Command could see, sometimes before Hitler, what the Germans were doing and if their diversion plans were working. They did and they were! This was the time where, it seems, he was happiest. Even if he was thought as being a bit of a loner and oddball. Keeping himself to himself, even down to chaining his mug to a radiator so other people wouldn’t steal it. Another thing he used to do is run wearing a gas mask. That was a precaution as he suffered badly from hayfever and that was a way he found to keep it under control. When he died in 1954, the computer that he helped to invent was on the cusp of becoming what it is today. With this becoming easier and easier to program, it would have been interesting to see in what direction he could have taken its power. He could have easily lived into the 1980s and seen the home computer revolution. The film also covers his relationship with Joan Clarke. Someone who started out as a colleague but ended up being Alan’s girlfriend and then his fiancée.